Nannie LaNell Johnsey passed away at her home on October 18, 2018, at the age of 92. She was preceded in death by her parents, Lena and Jack McCarty, and her husband, Nicholas L. Johnsey. She was born to Jackson Wallace (Jack) and Lena Faye Curry McCarty, on August 22, 1926 at the family home in Vanderbilt, Texas. 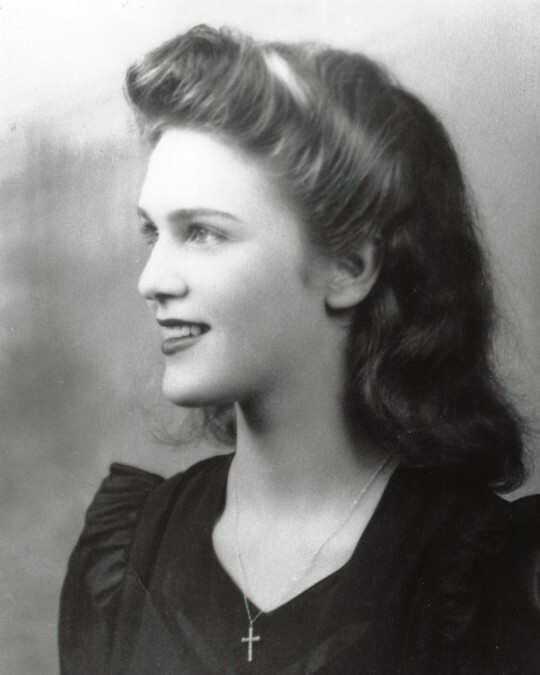 She spent her childhood years in Harlingen, Texas and graduated from Harlingen High School in 1943. She remained close friends with several classmates throughout her life. In 1944 she joined the Army Cadet Nurses and served in 1944 -45. She also attended the Santa Rosa School of Nursing in San Antonio. In 1945 she met and married Nicholas L. Johnsey. They were married for 56 years before his passing in 2001. Her father was an agent and telegrapher for Missouri Pacific Railroad. He encouraged her to go to work for the railroad and taught her to telegraph. She was an agent and telegrapher for 28 years. After leaving the railroad, she and Nick moved to Harlingen where they owned and managed several apartments including Quail Run, Trinity, Patio Apartments, as well as numerous other properties. LaNell loved politics and was President of the Harlingen Republican Women’s Club and the Kingsville Republican Women’s Club. One of her favorite memories was in Kingsville, sitting at a table with George H.W. Bush and having a drink. She also was a volunteer at the Harlingen Museum where she was a favorite, as she had lived through most of the history she was explaining. Another love of LaNell’s was her yard. She loved yard work and did her own yard until she was 80. Her yard was a “garden of Eden” with fruit, exotic flowers and a myriad of beautiful birds. She tended her garden and her birds faithfully. Before her stroke, she could be seen every evening walking the neighborhood with her dog and a bag of food for the birds and food for the neighborhood cats. They waited for her every evening. She loved her pets and had numerous dogs, cats, a parrot and a rabbit. Among LaNell’s other interests, were traveling in Mexico when Nick was alive. She was very adventurous and had numerous stories of danger in the primitive areas of Mexico. LaNell was a member of Calvary Baptist Church and had many dear friends that faithfully called and visited her even though, in her later years she could no longer attend. LaNell is survived by: her sister, Velma Jean Edwin, four children, Courtney Stanley (Joyce), Stanford Johnsey (Cookie), Nickie Miller (John) and Sharon Steffen. Grandchildren: Scott Miller (Traci), Eric Miller (Laurie), Trey Dembski, Kyle Steffen, Ashley Costanza (Joe) and Elizabeth Johnsey. Great grandchildren: Grant Miller, Hailey Miller, Caleb Miller, Annabelle Miller, Logan Costanza and Bennett Costanza and several nieces and nephews. Services will be held at 10:00 a.m. on October 25, 2018 at Buck Ashcraft Funeral Home, 710 Ed Carry Dr. Graveside services at 2:00 p.m., Chamberlain Cemetery, 735 W. Caesar Ave., Kingsville, Texas.